The downtown Toronto BMW dealership is seen in a Google Streetview image from Aug., 2017. 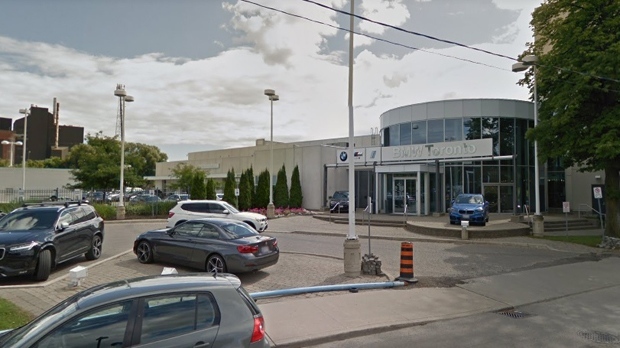 Toronto police say they've charged a BMW dealership employee for allegedly filling a co-worker's water bottle with engine coolant. Police say an employee of the dealership took a sip of his water bottle and realized that what he was drinking wasn't water. They say the employee went to hospital on Tuesday and was treated for non-life-threatening injuries. Investigators say security camera footage shows two men taking the water bottle from the customer service area of the dealership, and then returning the bottle. They say they believe the water bottle was filled with engine coolant. 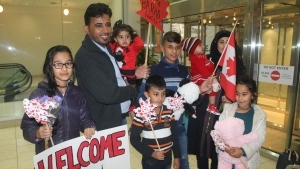 Police say a 34-year-old Toronto man was arrested and charged with administering a noxious thing. Investigators say they're still searching for the second suspect.